Spinal stenosis weakness can create specific areas of limited strength in the anatomy or it may enact widespread symptoms in large areas of the body, depending on the underlying source of stenosis. Weakness is often experienced in combination with numbness, and comes in two distinctive forms: Objective weakness shows actual physical impairment and nerve condition issues. This can be proven using various diagnostic testing methods, such as nerve conduction studies. The other form of weakness is subjective weakness, which describes a condition in which the patient feels deprived of strength, but the nerves are actually signaling just fine. The type of weakness experienced may be a valuable tool during the diagnostic process. This dissertation provides important information for patients who suffer from stenosis-related weakness anywhere in the body. 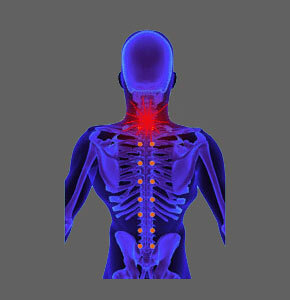 Weakness due to central spinal stenosis is one of the main symptoms suffered by most patients. Regardless of where the stenosis exists, the weakness is usually most prevalent in the lower body, including the buttocks and legs. Patients may trip and fall easily due to a lack of strength or balance in their legs, while others simply can not stand or walk for long. Some patients have weakness in the back or neck, but these are not as common as leg strength concerns. 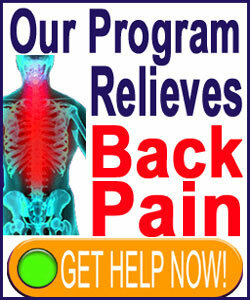 Most patients and doctors alike generally think of a lumbar problem when the legs are involved. Often MRI testing shows structural issues which are deemed responsible for the lower body weakness and treatment begins. In many cases, the symptoms turn out to be unrelated to the stenosis issues found in the lower back. Instead, they may exist in the neck, as a cervical spinal stenosis condition, or may also be sourced from a nonstructural process, such as regional ischemia. This latter causation is particularly common in patients with subjective weakness and numbness. Neuroforaminal stenosis may also be responsible for causing weakness in areas of the body. However, unlike central stenosis, foraminal narrowing can only cause weakness in very specific areas of the anatomy for each pinched nerve which exists. Compressive neuropathy conditions in the neck may cause weakness in highly specific areas of the shoulder, arms, hands or fingers. Meanwhile, foraminal narrowing conditions in the lower back may enact weakness in the legs, feet or toes. Of all the diagnostic conclusions that we come across, pinched nerves are the most often incorrectly identified as the source of pain and related neurological stenosis symptoms. This is usually quite obvious from the symptomatic expression, which rarely correlates to the clinical expectation. Patients often have foraminal narrowing in one level, but experience pain in an area not served by the suspected compressed nerve. Alternately, patients have a pinched nerve on the right, but have pain on both sides. This absence of logic is so common in the back pain diagnostic sector and is one of the main factors relating to the terrible foraminal stenosis treatment results experienced by many sufferers. True objective weakness has a better chance of being structurally-motivated, but not in all cases. Subjective and variable weakness can come about from central canal stenosis, but are rare in diagnosed pinched nerve conditions due to complete foraminal narrowing. In most cases, these misdiagnosed stenosis issues are enacted by ischemia of the area, not a compressive neuropathy. Remember this if your attempts at treatment fall short time and time again, as they have a statistical tendency to do. One of the best ways of correctly diagnosing weakness related to spinal stenosis is to see your neurologist for specific diagnostic testing. Personally, we would not advise trusting this responsibility to any other type of care provider.